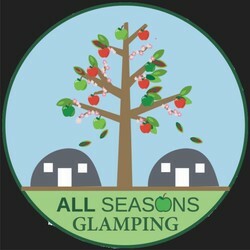 Take this opportunity to inspire your business team or club and come to All Seasons Glamping for your outdoor meeting and team building exercise for the day. Or maybe you just want to visit us for a personal event. The choice is yours. Enjoy the indoor/outdoor experience by combining use of the outdoor kitchen and beautiful orchards all around you with the indoor Games Room & SNUG Lounge to make your personal itinerary. Wifi and TV are available to set up your perfect workshop or presentation. Freedom to roam and inspire within our fruit farm.